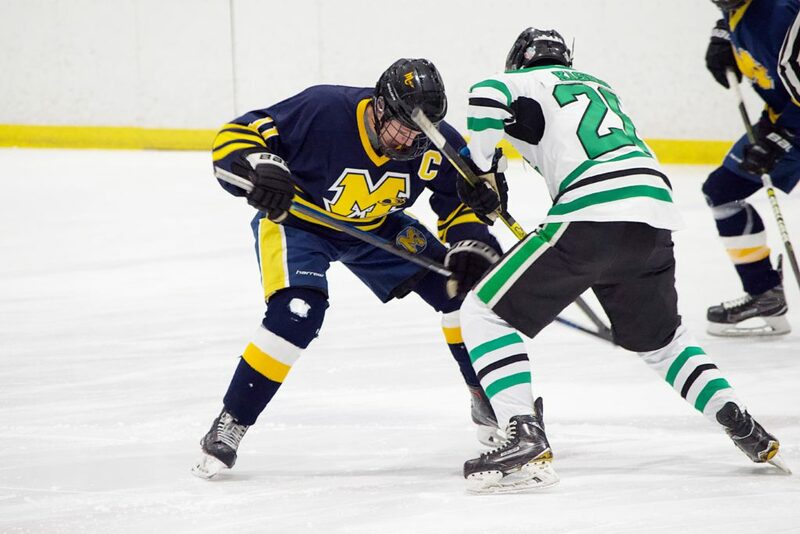 WARRENDALE, Pa. — The fabled Baierl Ice Complex started with a marquee double-A matchup, as Pine-Richland defeated Mars 4-3 to sweep the Fighting Planets on the season series. Brian Phipps opened the scoring for the Rams, tallying two goals in the first period, but goals by Sean Newman and William Foley gave the Fighting Planets life by the 5-minute mark of the third period. Jarred Eggert and Nick Lindauer gave Pine-Richland enough of a cushion to overcome a late Hunter Riemer power-play goal. Danny Stauffer stopped 18-of-21 shots en-route to his 17th win of the season. Daniel Mitchell was hit with his third loss in 16 tries on the campaign.